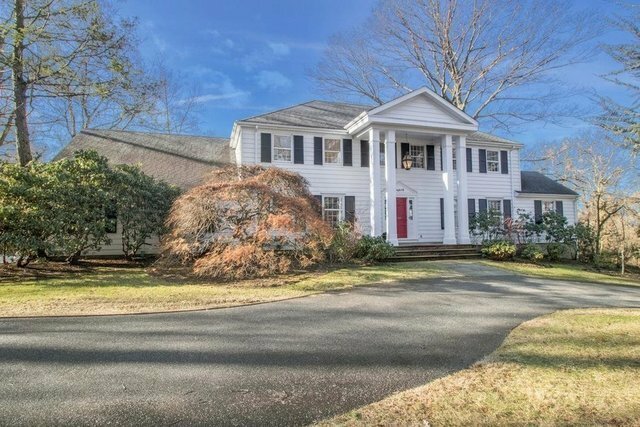 Priced to Sell: 14 room, 5 bedroom, 4.5 Bath large Elegant Tenafly East-Hill Colonial set high upon the hill at the end of a cul-de-sac on nearly an acre. This center hall features an updated kitchen and baths, large rooms including, a separate family room, living room, library and 5th bedroom, Jr. suite on 1st floor. Second floor has 4 bedrooms including a large master suite with separate shower and tub and walk-in closet. The large walk-out basement is finished with a Rec room, Gym, hall shower bath and ground level access to yard and pool. Exquisite grounds include Gunite pool, patios and deck, large lawn, and beautiful gardens close to worship, Smith School, and 8.5 miles to NYC, best value in town make it yours.